The ‘The Story of Print’ infographic employs a storytelling approach to show the visitor the complete production cycle of the catalogue. 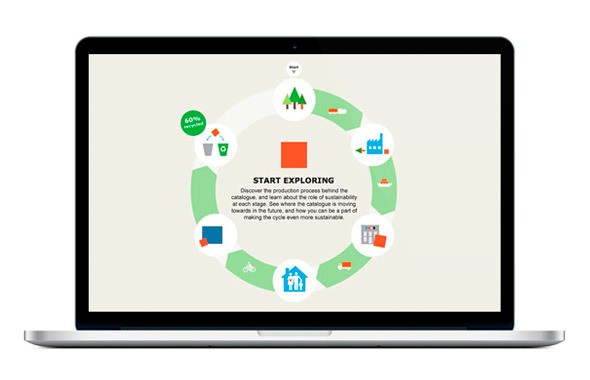 It shows the six steps of the life cycle of the IKEA catalogue, from logging to recycling. 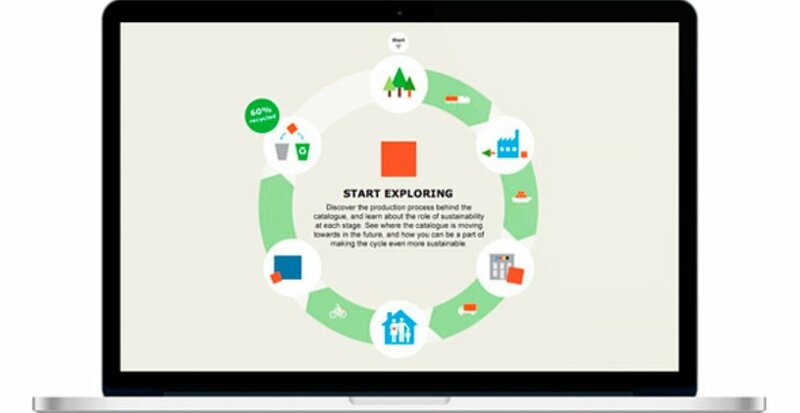 The infographic informs and inspires the IKEA customer-facing personnel to convey the catalogue’s sustainability story to its customers. Questions such as "Would digital be better?" introduce the viewer to data and dilemmas in the production, distribution, and recycling of the catalogue. Viewers can also access further information, other media, and data visualizations, based on their interest. It offers key performance data, such as percentages of FSC™ certified paper, renewable energy, and amounts of water used. 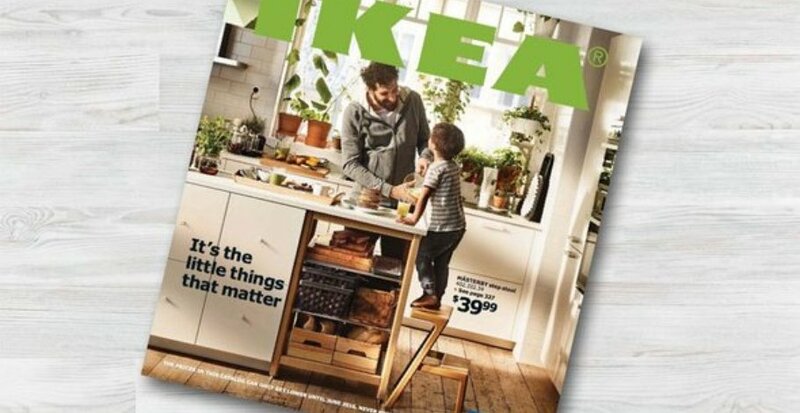 The Story of Print is now part of the IKEA Media Production learning website, where all employees are invited to familiarize themselves with it. 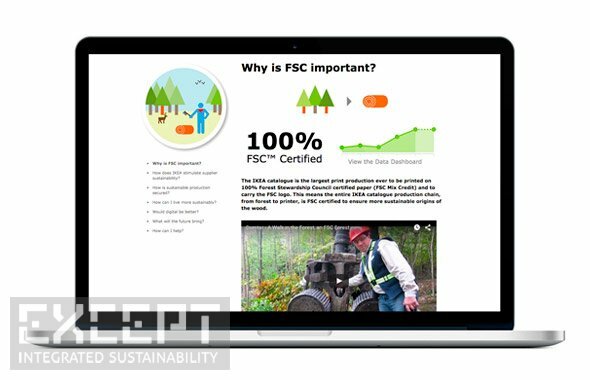 Aimed at sustainability professionals and enthusiasts, the Data Dashboard shows the history, current status, and targets for key sustainability indicators (KPIs) for the catalogue. All data is presented in accordance with international protocols such as GRI G4. 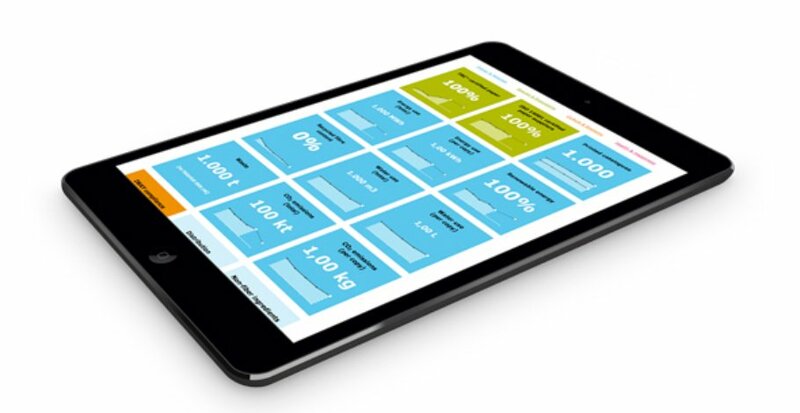 The Data Dashboard’s info-tiles are dynamic, intuitive and elegant. 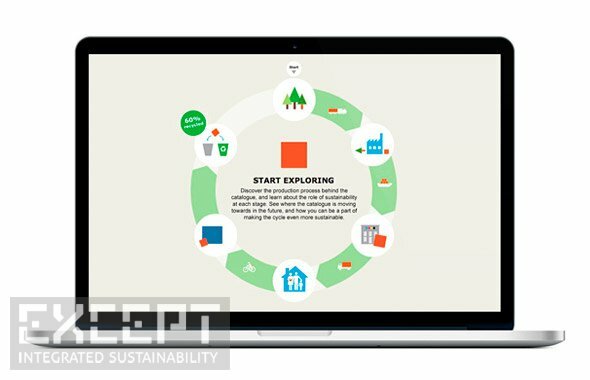 These tiles display the past, current and desired future performance of the IKEA catalogue on 13 key aspects of sustainable performance at a glance. These include input materials, energy, CO2 emissions, and waste. 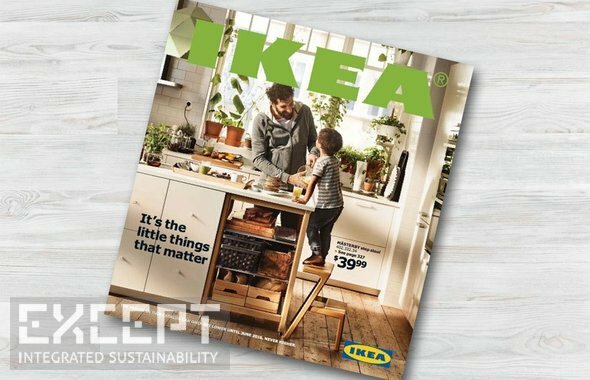 Contextual information provides additional insight into how IKEA achieves these results and plans to further improve them. The Data Dashboard has attracted thousands of visitors from IKEA from around the world. 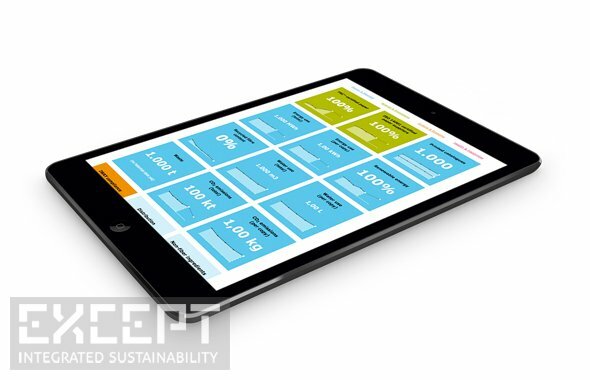 In a second related project with IKEA Media Production and its partners, Except developed smart decision support tools to unlock the big data of the supply chain behind the IKEA catalogue. 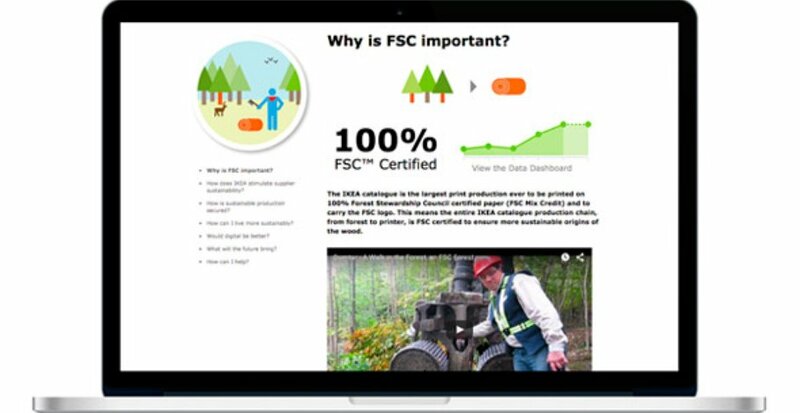 These tools help boost the catalogue’s sustainability performance, and create a sustainability-driven learning supply chain that is now helping to transform the biggest paper and print suppliers around the world. The decision support tools, the dashboard and the infographic were rolled out in three design rounds of four months each.